The International Data Corporation (IDC) predicts that the SaaS-based enterprise applications market will be worth $52 billion in revenue in 2018. In comparison, the same market was worth just $23 billion in 2013. This is a massive 130 percent increase from 2013 to 2018. Clearly, SaaS-based service is a rapidly-growing market. And tech giants such as Adobe, Google, Microsoft, Oracle, and Salesforce are leading the charge. If you want your SaaS company to have a chance of competing with these big guns then you’ll need to ensure that your website is up to scratch. Let’s take a look now at the essential components of SaaS website design for 2017. #1 Your landing page should be simple and compelling. If you were visiting your site for the first time – would you be impressed? Would the key services jump out at you? Would the navigation be logical and natural? In the vast majority of cases, you only have one shot at impressing visitors to your site. Don’t waste it. Instead, make sure that your landing page is attention-grabbing. Through a clever choice of colors, fonts, images, and design, the page must be simple, professional – and persuasive. It’s also critical that your core services are immediately understood and accessible. 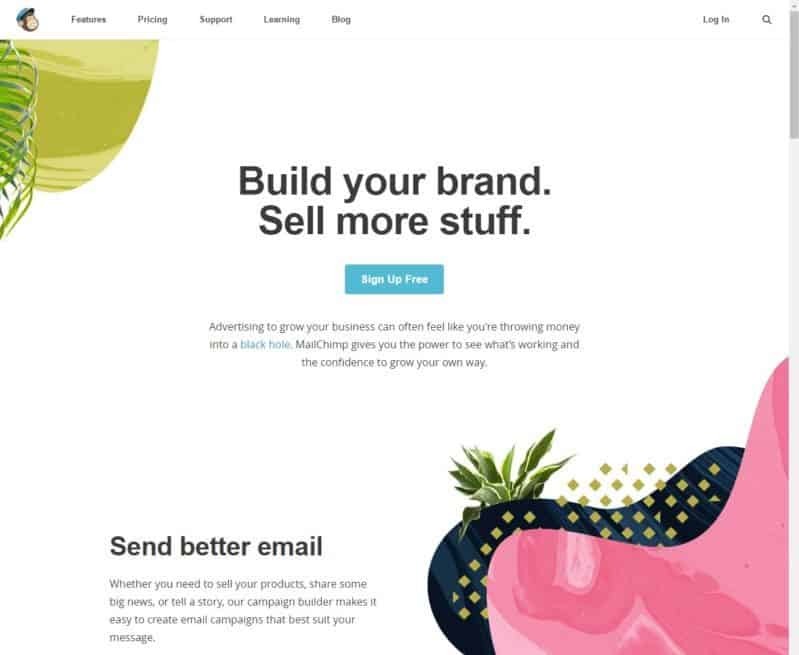 A great example of the above is the landing page of MailChimp. 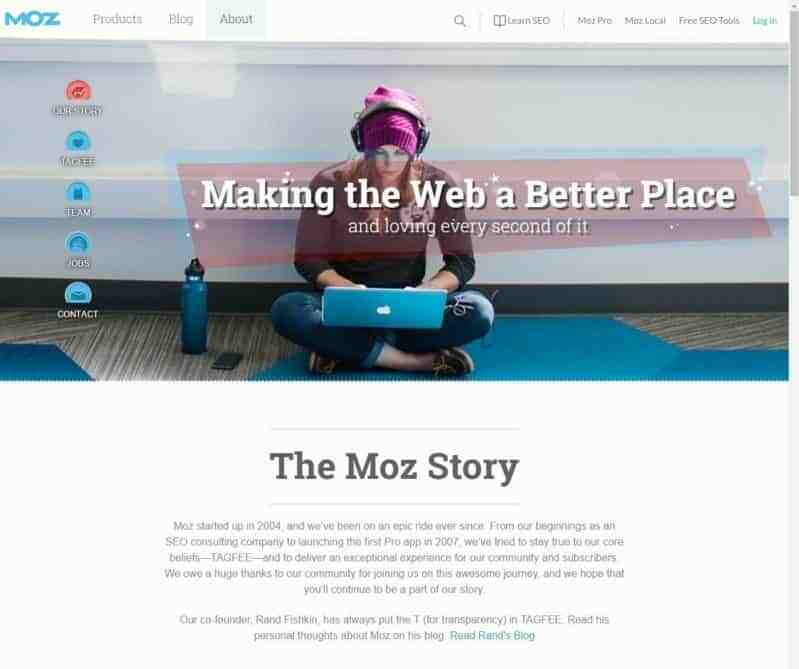 #2 Your site should be embedded with stories. If your website is riddled with stale facts and figures, then you’ll definitely need to address this. One way to do this is to sprinkle your site with captivating stories. These can be a mixture of stories about the services you offer, as well as a selection of customer testimonials. Whether you choose to have an overall theme to your stories or prefer to simply have micro stories placed throughout your site, visitors are likely to find your content memorable and engaging. As an example, use your ‘About Us’ page to deliver a personal message from your CEO or founder. They could talk briefly about how the company was formed, the development of the services, and the 100 percent commitment to customer satisfaction. Another idea you could try is to tell your company’s story through a timeline. The ‘About Us’ page for Moz provides a superb example of this technique. #3 Your tutorials and FAQs should be available in video form. While words are still the dominant form of communication on most websites, the trend is most definitely towards video content. You’ve probably seen introductory videos on some sites, and for sure, they can be very effective. However, you could widen the scope, and offer video tutorials on your site. These could be 2 or 3 minute long videos that demonstrate how to use and get the best from your services. You could even turn your FAQs into videos. For instance, if a common FAQ is “How do I upgrade my account?” You could create a short video that shows the necessary steps to complete an account upgrade. With more and more people accessing content from mobile devices, video is fast becoming the content king. 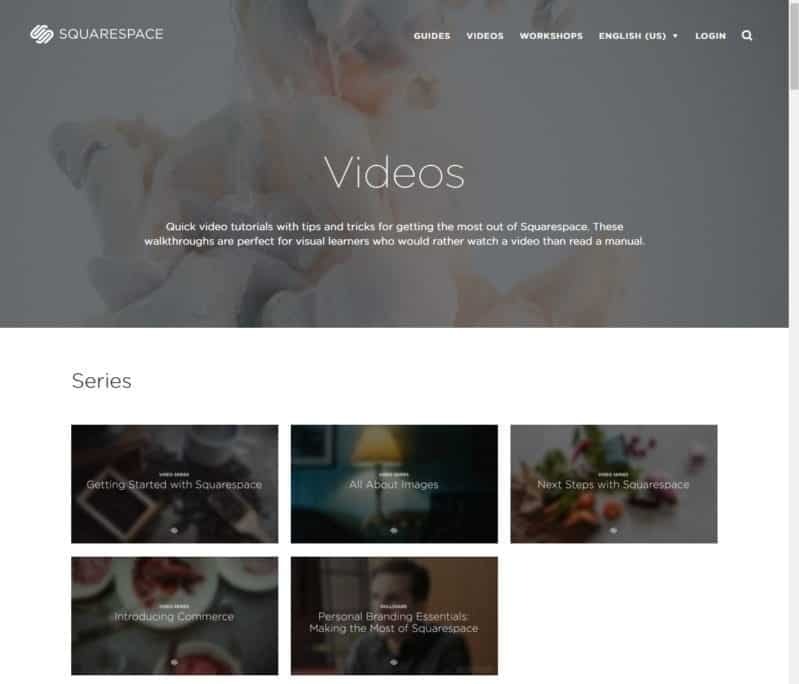 Website builder Squarespace is clearly aware of this trend. #4 Your tech and account support should be provided by chatbots. Chatbots are becoming increasingly sophisticated, and are now reaching the stage of being able to take over basic tasks from human operators. To save your company time and money, and to offer your customers a funky service, consider allowing chatbots to take on the first line of your tech and account support queries. Most enquiries will be resolvable by the bots, and unlike humans, they’ll be happy to work 24/7, 365 days a year! Flower delivery giant 1-800-Flowers uses a chatbot to help customers choose gifts, process orders and even provide delivery updates. #5 Your audience should be able to see behind-the-scenes. Your website and social media accounts should offer regular behind-the-scenes stories that customers will be keen to view and share. For example, if your company provides an online proofreading tool, then dedicate a blog or video to the software developers. Let them tell the story of how they built the tool, the feedback they’ve received – and what’s next on the horizon. You could also post a weekly staff photo on Facebook or Twitter, showing one or more of your employees hard at work (or having fun!). When you take your customers behind-the-scenes, they’re likely to feel a stronger attachment to your services and brand. Applebox Production Company demonstrates this rule nicely with their sleek behind-the-scenes web page. #6 Your site should work on all browsers and all devices. This seems like common sense, but I’m sure you can recall many times when you’ve struggled to use a site on one of your devices. Some sites only work on browsers such as Internet Explorer. Other sites have been built for mobile devices and look awful on desktop screens. The secret is to be aware of all the different ways that customers might access your site – and then test that your site works on all of them. Picture a potential customer landing on your site for the first time, and being told by an annoying pop-up that the site needs Java or Adobe Flash. Most people will just click away from your site. 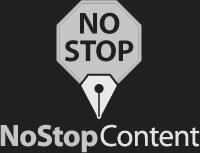 You’ve lost them before they even had a chance to engage with your content. #7 Your site should offer the best possible security. According to G DATA Software, a new malware specimen emerges every 4.2 seconds. Cyberattacks are on the increase, and we’ve recently seen big companies such as FedEx and LinkedIn being affected. Computer security terms that used to be strictly for geeks are now becoming commonly known. For example, I’m sure you’ve heard of: Denial-of-Service (DoS) phishing and ransomware. If you’ve heard of these terms, then your potential customers are likely to hear of them too. They’ll be attuned to cyber security risks, and will judge your site and services by the security on offer. At the very least, make sure your site uses a Hyper Text Transfer Protocol Secure (HTTPS) certificate. Google will rank your site higher, and visitors will immediately be reassured that your site is professional and secure. If you’re building your site from the ground up, then consider using Drupal. According to Capital Numbers, Drupal offers enhanced security compared to Joomla and WordPress. 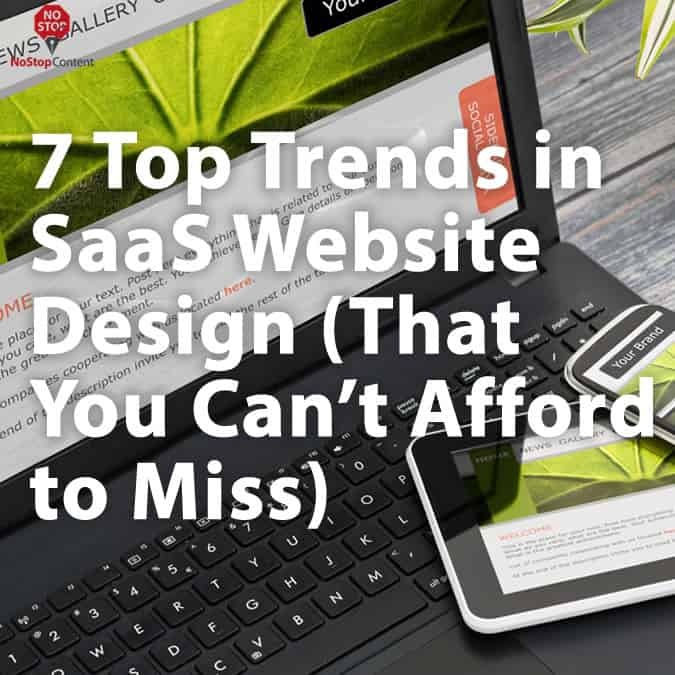 So, now you know seven of the leading trends in SaaS website design for 2017. However, just knowing about them is not enough. You need to adapt them for your site and services, and then put them to work! As with all things tech-based, trends change very quickly. This is another vital reason to implement the principles above ASAP. You want to keep ahead of your competitors – and in step with the global leaders. SaaS is all about helping users move from complicated software that needs to be downloaded, to a simple, easy-to-use Web-based experience. Get this transition right, and customers will be lining up for a piece of the action.